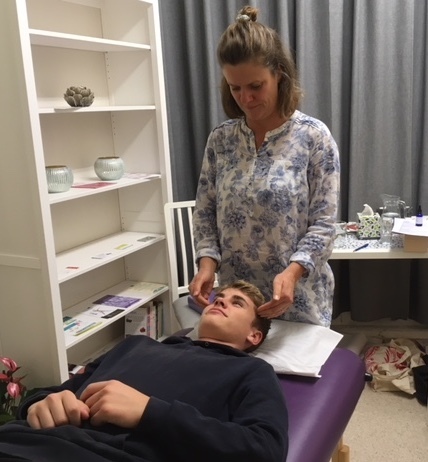 I offer Systematic Kinesiology incorporating Nutritional Therapy, Aromatherapy Massage and Rahanni Celestial Healing from my home office in Weymouth, Dorset and at Dorchester Yoga & Therapy Centre. Please contact me via the form below for an appointment or for further information. SK is a gentle, non-invasive (fully dressed) but powerful technique using specific muscles of your body to find out what you need to return to health. It covers the four realms of health: Structure (joints, muscles, bones), Bio-Chemistry (food allergies, nutritional lack), Electrical (energy imbalances or blockages) and Emotions. I am a fully-registered and insured Professional member and Accredited Tutor of the Association of Systematic Kinesiology. First appointments cost £75 – this includes a pre-appointment assessment, 1.5 hours with me, your own individual flower essence (when required), a written report and my ongoing support via phone or email. Follow-up appointments cost £50 – this includes 1 hour with me, flower essences when required, a written report and my ongoing support via phone or email. How many appointments and the frequency depends on your individual health goal. We will discuss and agree this during your first appointment. I use organic pure essential oils in a warm oil blend to massage and balance the whole body. I may add in some Kinesiology techniques and healing. I have 20+ years of experience and training in massage and aromatherapy. I aim to provide a relaxing, pampering treatment which brings your body into balance and refreshes your mind and spirits. A one-and-a-quarter hour massage costs £40. Rahanni is not based on any religion – it works on a high vibrational level to heal deeply through balancing the heart centre. Its principles are based in truth, love and compassion, helping to change the consciousness and opening the hearts of every man, woman and child. Rahanni healing costs £30 per session (1-1.25 hours) or £75 for three sessions. I first started studying natural health in 1995 and have several diplomas in massage and aromatherapy from that time. For years, I taught aromatherapy and imported essential oils directly from France. I have also owned and run my own health food and natural remedies shop. I’ve studied flower essences and learned a few basics about homeopathic remedies. However, I’ve always been passionate about food and nutrition (see My Story) – having coeliac disease since childhood, the ‘right’ food is literally life-saving for me. I practise nutritional therapy based on my experience, extensive reading, training and Systematic Kinesiology qualifications and CPD (continuing professional development). Please contact me via the form below for an appointment or for any further information. I look forward to helping you with your health!